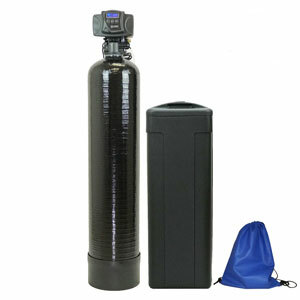 2 Why Do You Need a Water Softener in the First Place? 4.3 How Do The Various Water Softening Systems Work? Did you know that your water can be classified as “hard” if it contains at least 60mg of dissolved calcium and magnesium? In some areas, this number can go as high as 180mg. Defeating the hardiness of water is not such a tough challenge but the rewards of it are simply great. You will be needing only one cool device and all those problems with ashy skin, stained dishes and spotty laundry will be gone. 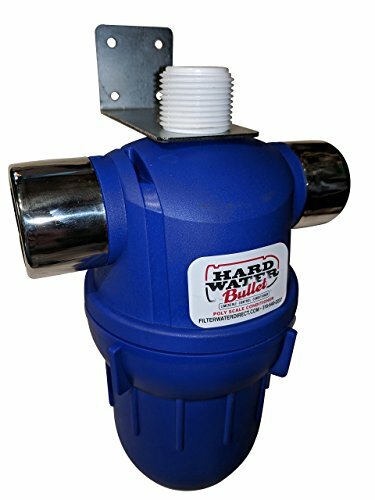 Once you get your hands on the best water softener on the market, you will surely have an easier time consuming your municipal water. Since you are here, scroll down and check out some of the top water softener reviews of 2019 that we have compiled for you. Not only that you get to see the finest units in this field, but you can also learn all about water softeners from our buyer’s guide below. See all the sections including the ones highlighting the features, installation issues and of course expert tips. DIMENSIONS 26 x 17 x 56"
DIMENSIONS 14 x 7 x 21"
DIMENSIONS 4.5 x 4.5 x 10"
DIMENSIONS 27 x 10 x 8"
DIMENSIONS 54 x 10 x 10"
The beginning of our guide is all about those top tier products that you want to see. Here we have looked into each one of them in no particular order. Compact, efficient and at a good price, this whole house water softener system will serve you well by using ion exchange process to remove the calcium and magnesium and extend the life of your plumbing and appliances. The system comes to your door equipped with all components needed for operation – the tank, resin, control head, and brine tank with safety float. It also has a bypass valve with a 1-inch yoke connection for easy “in/out” plumbing connection. There’s also an LCD display with information about the system status and error codes. You might, however, want to consider that the installation itself could be a bit time-consuming. If you don’t have much experience be sure to check the instruction video and prepare yourself properly. Also, do your research to be sure you buy the correct size. Overall, a fairly good product of a fine quality at a reasonable price. Are you willing to invest in your whole house water softening system? This product will meet any holdbacks you might have about its price. Along the iron filter, it comes with a variety of capacities. This variation is a 64 000-grain unit, but you can get an 80 000 one – the highest on the market. And it’s equipped with the well-known Fleck 5600sxt, which saves you a lot with annual energy consumption and ease of use. Except for iron, magnesium, and calcium, this softener also removes rust, sediments, and sulfur up to 2ppm. Additionally, the set is equipped with a bypass valve and a plastic cone. The installation instructions, though, might be a bit confusing even for experienced users. Be sure to have professional help or call technical support if you are not managing. The longevity of the system, though, pays you well for this inconvenience. This water softener has deserved the right to line up with the high-quality products. It is compact, practical and with a reliable body. And two of its characteristics make it stand out from the others in the class. First, it is salt-free, which means no resin and cubic feet calculation. And second – it is waterproof and can be installed anywhere outside as long as it doesn’t freeze. Nice features are also the BPA-free plastic body and the completely replaceable media. It also comes with а mounting bracket in the box. The functionality of the product is reasonable and you cannot expect a lot of issues with it. As for the softness of your water – it will completely remove calcium carbonate and reduce limescale. Yet, don’t expect it to remove chloramine and iron as it is not a filter. Consider that you might need extra connectors as the inlet has a 1-inch diameter. The product has a nice guarantee of 5 years. Now, meet one of the tinniest softeners on the market. But don’t be misled by its size. It gives great value for its price. At first, this tiny one is salt-free and with a carbon filter. So you can forget about chloramine and other particles, along with the resin. Your water will be not only softer, but purer and with a better taste. We already mentioned its size that solves space-saving problems. Besides, the set comes with mounting bracket and the inlets are 3/4- inch, so you will likely need any connectors. A bit of a matter could be the filters. You should replace them periodically. Otherwise, they might get clogged. You also must know that the whole housing is not very strong, so some leaks are possible. This product is not the best for the heaviest water. But it is economical, easy to install and to maintain, also giving you outstanding performance. If you are looking for a high quality, whole house softener system for a fair budget, this might be exactly the product for you. Equipped with the Fleck 5600SXT digital valve, popular for its lower annual power consumption and easy usage and with a 48 0000-grain capacity, the system is designed to remove the majority of the biggest “hard water” culprits. You might, however, need to add a whole house filter in line and prior to the softener if you are concerned about other trace minerals such as iron. Nonetheless, the system has a lot of additional benefits, which make it a bestseller. Such are the pre-loaded 2 American-made tanks, both with a 10-year warranty and the additional items. A considerably added values are the supporting resources – installation videos and a kit plus a simplified installation guide. Though you may have some small issues, technical support is available via multiple channels. 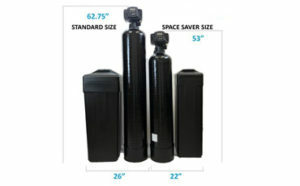 DIMENSIONS 5 x 5 x 24"
DIMENSIONS 53 x 18 x 62"
DIMENSIONS 6.7 x 1.6 x 3.5"
DIMENSIONS 10 x 10 x 62"
DIMENSIONS 45 x 23 x 20"
The Nuvo H20 DPHB Water Softener System is a decent, efficient one. You get what you pay for. 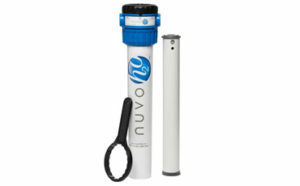 So if you are looking for a basic, but a reliable solution, here is what Nuvo H20 DPHB can offer for its modest price. Amongst its main advantages is the salt-free cartridge. It will improve your water’s quality notably – the taste will be better and corrosion will be reduced. The set contains everything you need to mount the unit. It also features a bypass valve. 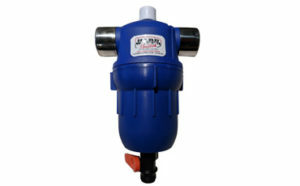 In addition, it has compact dimensions and a sufficient flow rate – 12-15 GPM. Not least, the installation is easy. There are few restraints that you should consider. The inlets are 1-inch in diameter, so checking the size of your pipes is mandatory. 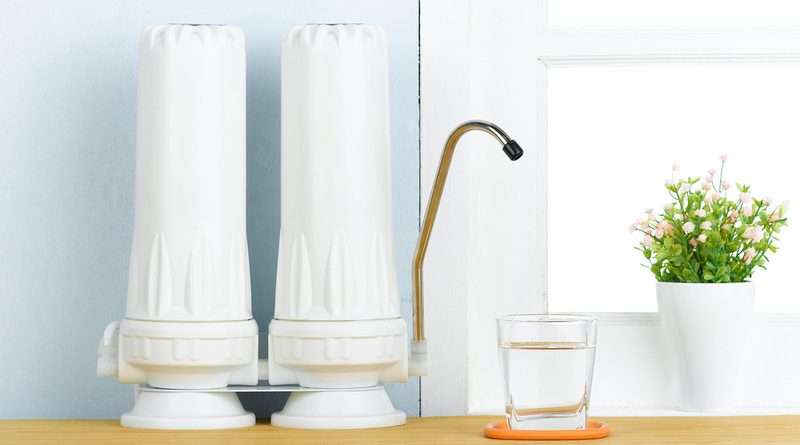 Since it is a basic product, it doesn’t handle well water – you will need a filter for that. The cartridges will need changing often if your family is big. 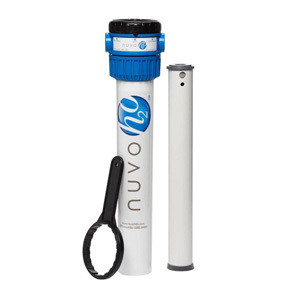 Yet, with its money back guarantee and reliability, the Nuvo H20 DPHB justifies its price. Enormous capacity and exceptional effectiveness. That’s what you get with this heavy duty product. The Fleck 9100SXT comes with 2 tanks, each with a 96 000-grain capacity. That gives you top-notch functionality. 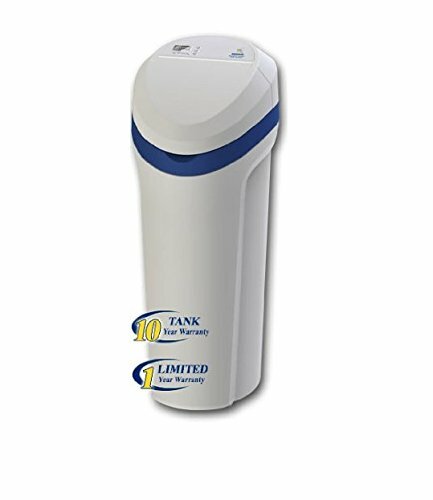 Both tanks have a 10-year warranty, the resin will last at least 5 years and you get 3 cubic feet of resin in each tank. Yes, it is a bit heavy. But the product pays off well. The resin is pre-loaded which is a convenience. There is a control valve with which you can bypass the softener when needed as well. The brine tank, of course, comes with a brine line for an easy connection to the main tank. It removes not only all ions causing hard water, but also scale buildup. It will help a bit with iron removal too. And the flow rate is strong – 20gpm max. The Fleck digital metered head gives you a remarkable advantage in matters of control and efficiency. Now, if you get this one, make space for it, because it is huge. Meet the simplest and easiest to maintain solution! when it comes to limescale build up. 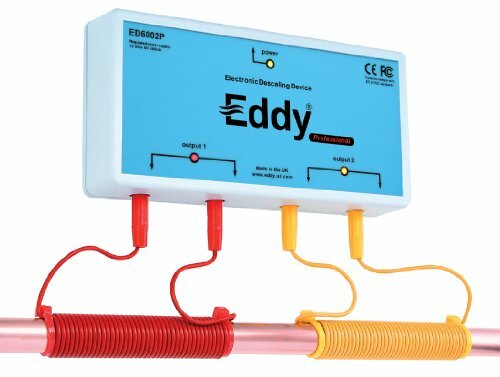 The Eddy Water Descaler is an electronic-gadget, which comes as an alternative to a water softener. Its main job is to produce electromagnetic wave and thus prevent scale from sticking into your pipes. Yes, it will not make your water or skin notably soften. But for sure it will reduce your hassle cleaning buildup from your faucets. That is simply what it does. The installation of this gadget cannot be easier. The box contains the product itself and 4 wires. No pipes detached, no plumbing changes. And it’s very cheap to maintain. It comes with a lifetime repair/replace warranty as there’s no doubt about its quality. Just remember – the product is not waterproof and is 100% electric. Mounting it outside can threaten your safety. Though not an actual softener, you might still want to consider its pros. The Tier1 Water softener is a pretty basic product that can give you good results, though. It is space saving, effective and can be installed outside unless the temperature falls below freezing. The set includes everything you need. Plus the high efficient Fleck 5600sxt giving you full control over the regeneration cycles. There is an LCD display along for convenience and security. The capacity of the grain is only 48, 000 which is not ideal. But it will for sure take care of the main components of hard water – calcium phosphate and magnesium. Yet it will not harm useful minerals. The softener will serve you well when it comes to limescale too. If not remove it at all, it will reduce it significantly. Don’t expect miracles from this product. But if you need aid with you money-saving efforts, Tier1 will do the job you buy it for. If you have modest needs and are looking for a compact, yet efficient product, Morton System could be it. It is only 43 inches tall and 17 inches wide. Still, it does the work for which it is produced. Use of soaps and detergents will reduce and so the limescale. Thus you will need a smaller quantity of water and have no spots. Iron can also be removed with the correct salt. And the best results come with the installation of the Morton Rust Remover. The 30 000 grain might seems insufficient. But the set comes with “look-ahead” technology that “predicts” the amount of water you spent and will plan the regeneration cycles accordingly. The built-in bypass valve will allow using water during those cycles. Some cons to think of are the tricky installation and the possibility of leaks. Be sure to get professional help when installing. Also, don’t mount it outside if it gets freezing cold. 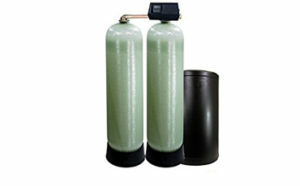 A water softener is a device which would be much needed to a lot of households across the globe. It all comes down to the type of water which a family uses. Municipal water supplies, in general, contain a number of minerals which render water to be “hard”. This type of water contains large amounts of dissolved calcium, magnesium, iron, and a number of other particles. What’s Bad About Hard Water? This leads to a number of domestic inconveniences and often some diseases. Hard water forces you into conducting more and thorough maintenance of your faucets and pipes. We will now take look into some of the main problems caused by hard water. Traces on your dishes and faucets – you will definitely see some soap scum on your dishes and your bathroom fixtures. On whatever surface you let the water dry out, it will leave behind a cloudy film. Basically, every consumer report on water softeners in 2019 will testify that this is one of the main issues with hard water. There will be build up in your pipes – the mineral substances in water are the main reason why you see some limescale inside your pipes or shower heads. This also goes for appliances which can be pretty sensitive to hard water. This buildup leads to significant deterioration of the whole water-related infrastructure of your home. Water heaters are threatened as well – hard water is one of the main causes of lower efficiency of the heating elements in water heaters. Not to mention that it might significantly damage many of the components unless timely maintenance is administered. Soap and shampoos are not as foamy – hard water can significantly reduce the lather of all hygiene supplies. They will not be as effective and you will notice less foam. Not a good sign, indeed. Laundry won’t be as visually pleasing – clothes often feel stiffer after being washed with hard water. They will not be as vibrant and there’s a chance you will see whitish spots on them. So now that we got all those hard water issues listed above, it is time to see how a softener can help abolish them. Before we move on with some more in-depth information, we will talk about the main benefits of water softening. Many of these are not only a convenience. They also happen to affect your family budget positively and will lead to good results when it comes to your healthcare. So here they are in no particular order. Appliances’ life will be prolonged – The lack of buildup will always yield a great effect on the functionality of your appliances and devices which use water at home. Energy efficiency improvements – in relation to the previous point, an appliance will definitely use less energy when operational. Your heating bills should be lower but it’s not something you will necessarily feel right away. Reduction in some soap and detergent inefficiencies – the functionality of soaps is seriously compromised when mixed with hard water. Softer water will allow your soaps and detergents to be more effective thus reducing the amounts that you require. Surfaces will be stain-free – as mentioned above, you want to remove the cloudy residue which is left behind by hard water. A quick check on some good housekeeping water softener reviews will convince you that faucets can look quite shiny and glossy both on the outside and the inside. Compare the pros & cons of hard water Vs. soft water now! Now that we’ve made it clear why water softeners are needed in basically every household, we will become familiar with the types of water softeners you will find out there. By doing so, we will also determine the level of effectiveness of each type and you will better understand which softener might be best for you. These are the most popular and pretty much “the classic” type of water softeners you will find out there. There is a wide array of products when it comes to various types of water filtration but we can always point to the classic ones the moment we see them. These devices are also called Ion Exchange Softeners because this is the main process that takes place in there. We will get into more detail regarding how softeners work but at this point, we will just mention that salt is needed for the “softening” to take place. Even though the name sounds exciting due to the absence of salt, we need to clarify that the effectiveness of this type of softeners goes nowhere near one of the types mentioned above. These are actually water conditioners and they will not remove anything from your water. They will also not reduce any of the hard water minerals. The main goal of those water conditioners is to make it hard for the existing minerals to form a buildup inside your pipes. All in all, you will notice some relief when it comes to maintenance of faucets. 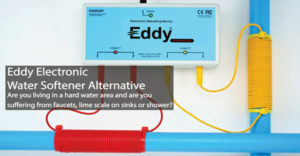 Such water units will help you have a less lime scale and they are definitely better than having no water treatment. However, they aren’t exactly what you would call softeners. 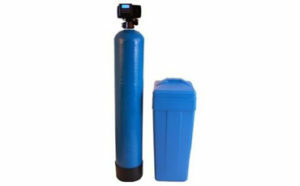 Now, these are the “big boys” of water softening as they come in pairs. By that, we mean that you get two large iron tanks and a brined one. Such a system can be considered a heavy duty one and it is suitable for households with a lot of water consumption. The main goal of this construction is to always provide you with soft water no matter the time of day or the week. Resin needs to regenerate and this usually happens during the night or after a few gallons of water have been processed. During these very regenerations, however, you cannot enjoy soft water as the water bypasses the system. A dual-tank softener ensures that this never happens. When one of the tanks regenerate, the other one is fully functional and still provides you with processed water. The investment here is typically bigger but in the long-term, you will likely enjoy great results. This is the last type of softeners, so to say, but it is also the most unconventional one. Because it is an alternative system, it is also not a very popular one. It does have its advantages, though because it gives you a hassle-free service. Magnetic descalers are electrical devices which do not interfere with your piping system. No installation is required, no plumbing is detached and there are no bypass valves and so on. You only have a few wires to coil around your water intake pipes and that’s it. The plug-in device will generate a magnetic field around the pipes and the water will have the properties of its minerals all reshaped. Similar to non-salt softeners, this gadget will also prevent some nasty limescale from building up inside your water supply system and fixtures. This is the section in which you will encounter some of our experts’ tips and will learn some inside information prior to swiping your credit card. We will also draw some comparisons between the types of softeners which we already outlined above. When it comes to considering things about your purchase, this is the right section for you to read. Before we kick off our comparisons, we will make you aware of some of our best general tips. These little insights will definitely help you when browsing water softeners. Don’t fall for what you see on the surface, use those pointers to conduct detailed research on your next possible home water softening system. The first thing you want to know is whether you want to have a 1-piece softener or a 2-piece one. Generally speaking, a 2-piece one is a better choice. As long as you have the space to fit the system, you will be all set. 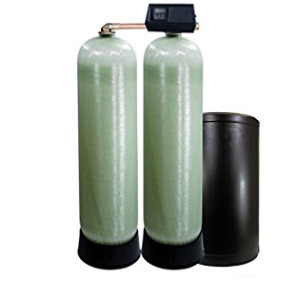 A 2-piece water softener is usually cheaper and the electronics, located at the top of the media tank, are separated from the highly corrosive brine solution in the salt tank. A 1-piece unit might be better for a smaller household. It is not only about the size of the unit but also the workload that it can handle. It will use far less salt but also far less water. Such a product may be good for a family of 2 but that’s it. Stick to units made with non-proprietary components. Yes, name brands are great because of the presumed quality but their parts are also sort of unique. You are better off with something that has spare parts at your local hardware store. If the brand name unit gets discontinued or receives an overhaul, you can no longer count on getting spare parts 10 years from now when needed. You want to go with something with proven technology. Look for a brand that has been around for as many years as possible. Whatever glitches the product might have had, they have probably been fixed long ago. When you spend good money on a water softener, you want something reliable. It matters who you buy it from. Getting a water softener locally might be a better option because your local dealers will know exactly what type of water you have and what your requirements might be. They will sit you down and you can discuss everything prior to the purchase. Not to mention that customer support afterward is also easier. Look for a scale down version of an industrial unit. An industrial softener handles way more water than you use at home. So it has to be reliable, sturdy and dependable. See which softener is serviceable. You want something which is easy to maintain. Taking apart the whole body just to replace a motor or a filter is not rational. It is time to share some key details regarding the most popular components and specs of water softeners. These should give you a better idea of what to look for and how to most adequately address your particular needs. If you have decided to go with a salt softener then the resin capacity is your main focus point. You will need to find out how much water on average you would use. This usually depends on the number of family members. The larger the capacity, the less frequently the softener will need to regenerate. The grain capacity may vary with the lowest typically starting from 16 000. Some units may even reach 96 000 and when you have a dual-tank softener this is quite the capacity. There aren’t many different types of resin although some softeners are good for well water with iron. Capacity is also related to the brine tank. If your media tank houses a lot of resin, then the salt needed for it will also be more than usual. And this leads us to our next point regarding size and space. You cannot go with a huge water softener if the area around your intake pipes is too small. Most households will be fine with a middle-of-the-pack softener. This means that you will be fine with a 2-piece item featuring an iron tank and a brine tank. Those huge dual-tank systems also have a very large brine tank. Due to this big capacity, the area needed can be a lot. Once you are sure that a certain model will fit inside the space that you have, then go for it. Ask the manufacturer for specific measurements and dimensions of the products. This information can also be found online. Another important component is the bypass valve. It allows the water to bypass the actual softener. This can be useful on numerous occasions such as filling a pool with water – activities for which you do not need softened water. It is imperative that the valve is easy to find and easy to operate. 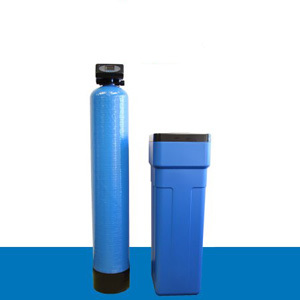 A good example is the fleck water softener because Fleck is the name which specializes heavily in building the most reliable and trusted heads and valves for water softeners. The valve will usually have two red arrows – you point them towards each other the water stops going through the softener. 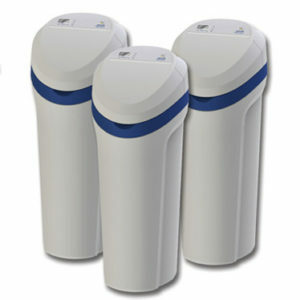 Something else you want to realize is whether you want a metered water softener or a timed one. With the metered system, the resin will regenerate after a certain amount of water has been used. You decide on the number. With a timed softening system, the device will regenerate every few days based on the prognosis of how much water you would use. The downside here is that if you use more water than planned prior to the regeneration, you will likely run out of soft water. Another drawback is that even if you aren’t at home over an extended period of time, the softener will still regenerate and use water and salt. A metered softener will regenerate only when it has to. How Do The Various Water Softening Systems Work? In order for you to make the right decision for your water filtration needs, we will outline how the various devices in this category work. We are not going to draw a parallel comparison between types and models but will rather explain the properties of each letting you decide which one will be most practical for you. So we already mentioned that ion exchange is the bread and butter of those softeners. But now it is time to take a deep dive into how softeners work. They do not filter out anything from your water as they only use resin. 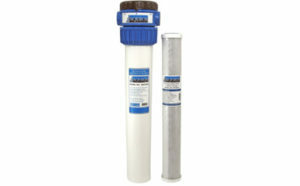 Other good water filtration options might be for you in case you want anything specific to be removed from your water. An ion exchange system will remove all the metal particles and contaminants from your water. It acts as a magnetic sponge to pull those minerals away and leave you with soft water. So essentially the water is taken from your main water supply line. Then it runs through a tank that contains resin. The resin, in turn, consists of a huge number of little ionic beads. As the water flows through there, calcium, magnesium, and other contaminants are removed from it. Then the system returns some clean and soft water going into your home. So this type of water softening composition contains two tanks. First, the main tank in which we have the resin that cleans away the water and makes it soft. And then we have a second tank which contains salt. It is called “a brine tank”. If you look inside, you will find some fine particles of salt. At the bottom of this very tank, there’s also some water which creates the salt brine – therefore the name of the tank. Every couple of days this salt brine is flushed into the resin tank to clean away and wash away all those hardness ions. These ions are rinsed out and sent to your wastewater drain. This goes to show you that maintenance is also super easy here. You just need to put bags of salt into the brine tank. 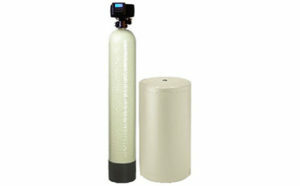 **The resin in a fine water softener** can last for 10, 15, even 20 years before a replacement is needed. As mentioned above, we can’t call these devices “water softeners”. So what a water conditioner do is that it does not soften water. Models of that type will usually have a fancy magnet or any other sort of cartridge. What it does is to actually realign the ions. Realigned ions do not want to “grab” on to each other – they want to repel. This means that they won’t stick to the faucet, won’t build up around your sink and will especially not buildup around your heat exchanger. It will leave the calcium and magnesium in there but will prevent clumping. 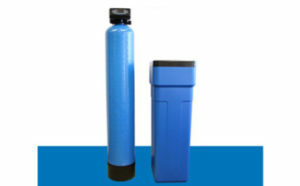 Although you do not get any hard water protection, the system will reduce some harmful particles. They will not be eliminated, though. But the descaler will pull out all the bad stuff out of the water such as chloramine, chlorine and other stuff that you shouldn’t be showering in. Plenty of people go for this type of device because they want their body to never interact with chemical substances. Pairing it with a top-notch whole house filter might be an excellent idea here for maximum efficiency. These systems are heavy duty – typically a scale down version of an industrial unit. Dual-tank softeners work in the same way as your regular salt-based softeners. They use resin and salt. But since you have 2 tanks here, even when one is regenerating, the other one still provides you with soft water. The industrial quality level is important as the capacity of the unit is big as well as its life. These are quite interesting in the way they are installed and the way they work. Those electronic devices are a no salt alternative to water softeners. What’s more, is that they do not get “installed” right in the middle of your plumbing system. Instead, their wires are coiled around the pipes and then a magnetic charge occurs. This way water is emulated without any TDS being altered. Limescale is gotten rid of and you will notice that buildup inside your faucet will be practically non-existent. The good thing about all whole house filtration systems is that their installation is more or less the same. Learning how to install a water softener properly, though, can be a challenging task and if you aren’t sure about it, you are better off getting a professional for the job. Anyway, we will still walk you through the main steps of the process for maximum clarity. This is where you want to attach your pipe connection – it should have 3 valves: 1 to stop the water from entering the softener, 1 to prevent the water from exiting the softener, and 1 bypass valve. Make sure the connectors are well in place and conduct some soldering if needed. Connect the drain line to the drain elbow using a hose clamp. All good things come to an end eventually and the same can be said about our extensive guide on the best water softeners on the market. Our team is dedicated to bringing you only up-to-date information along with expert tips. 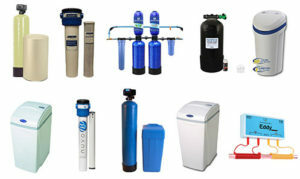 We hope that our water softener reviews have helped you pick the product you like the most. As always, we are open to your feedback and would appreciate any comment left by you. If you liked the article, show it to your friends or share it online. Let us know if anything can be changed or improved. Thanks for reading and as always – stay put!